Global Entry membership is valid for 5 years. The renewal process is the same as for first time applicants. You will have to fill out an application form and attend an interview with a CBP officer. Global Entry membership can be renewed up to 6 months before its expiry date. We advise that you apply for renewal as soon as possible to avoid waiting for approval before your travel. In case you are applying for the first time, please click here. Step 1: Pay our service fee for checking and submitting your application to CBP for review by clicking on the Pay Now button. After we update your GOES profile, we will give you a link to pay the additional $100 government fee for background and security checks. 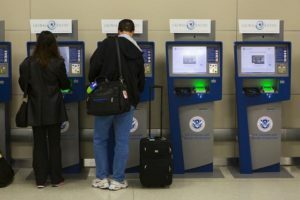 In order to apply for a Global Entry membership renewal you will have to pay a $139.95 regular service fee or $169.95 expedited service fee. If your travel date is close we recommend that you choose the expedited service which means that your application will be processed within 24 hours within our company and submitted to CBP for review. The expedited service fee does not guarantee faster processing within the government system or an interview before a certain travel date. In addition to the service fee, you will need to pay a $ 100 government fee. It is payable with your credit card after your profile is updated in the government system. Children under 18 must also pay both fees. Once we match your application to your payment, we will pass it to one of our agents. They will check your application for mistakes, omissions and for consistence with CBP requirements. They will update your profile in the government system and enter your data. Once this task is complete, we will email you with an ID and password so you can access your profile and finalize your application by paying the government fee with your credit card. You will be able to schedule your Global Entry interview as soon as you receive a conditional approval notification. Important: we cannot guarantee your Global Entry program approval. You may be denied in case you have a criminal record, an immigration violation or you provided false information on your application form. You can apply directly with CBP here: cbp.gov.